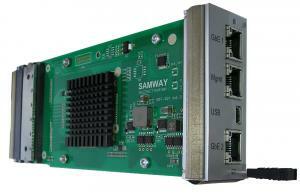 The Samway's MCH provides the advanced management and data switching required in any MicroTCA(uTCA/MTCA) system. It's main functions include IPMI controlled power management, Electronic keying, Hot-swap of AMCs and switching functionality. The MCH is MTCA.4 compatible, it provides support for rear modules.